According to people who knew him, these words describe characteristics of the man who once owned these drawers and their contents. Bonus: Every month I make an exhibition print for a randomly selected person. To be included, send a note to jeff@jeffphillips.me. You'll get to pick from any image on this site. I won't use your email address for anything except to let you know you're getting a print of your choice. Promise! Are we able to know a person by examining their possessions? What does a lifetime of collected objects reveal about someone's personality, passions, experiences, accomplishments or failure? 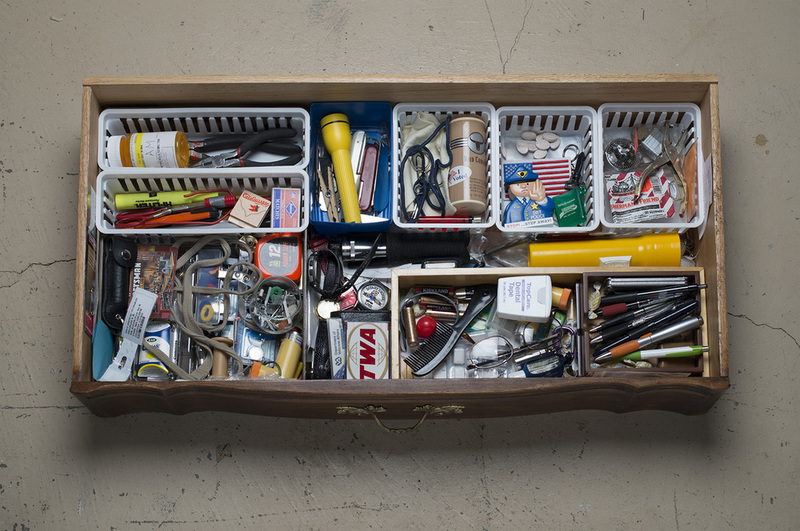 Examine all five drawers, and use the form to suggest three words that describe the owner of these objects. Click Sh*t Say What? to see how you did.